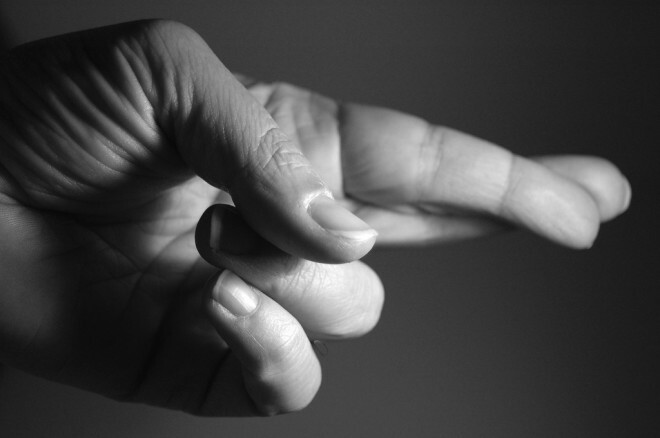 An often-underestimated influence on equity and bond markets is the heavy hand of luck. Frankly, you can do everything “right” and still get bad results. And since luck can’t be controlled, knowing how to react – whether that luck initially appears to be good or bad – can separate winners from losers. But just because something can’t be controlled doesn’t mean it can’t be managed. We all know bad things happen that are beyond our control to foresee or influence. Fires, floods and financial crisis come to mind. So we buy insurance, avoiding home purchases in areas prone to flooding and create investment portfolios that are well diversified with a healthy dose of cash savings. But what else? 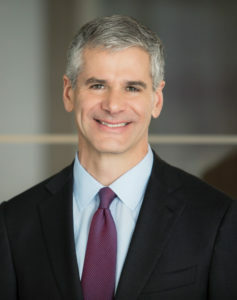 One of the best thinkers on this subject, and a terrific writer to boot, is Michael Mauboussin. 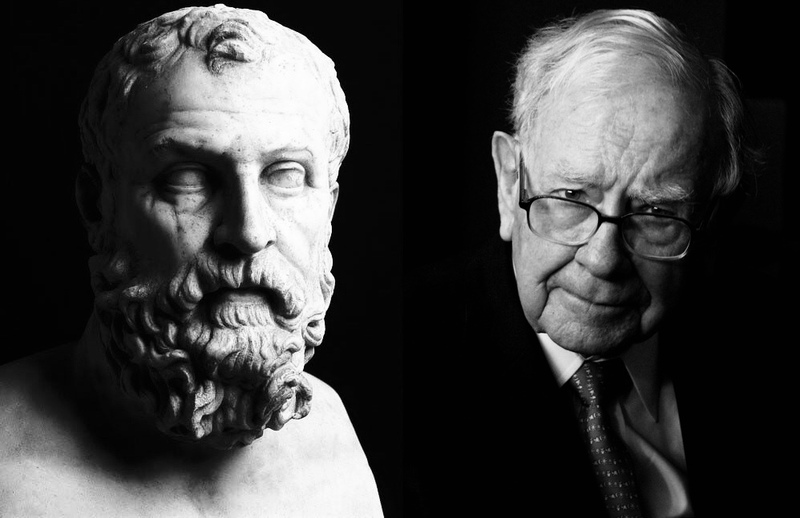 The man knows how to think about how we think – especially as it relates to investing. I read his terrific 2012 book, The Success Equation, when it first came out. Subsequently, the opportunity to hear him talk about his book in person helped to clarify some of his more nuanced arguments and observations. One of the many surprises that will be found in The Success Equation is an important reason why individual investors should look to exchange-traded funds as their best bet to achieving financial goals when using the stock markets. Discussed in many posts here at Invest-Notes, by choosing to invest in indexed funds smaller investors earn the market averages over time with much less risk or cost than owning individual stocks or traditional mutual funds. Remember, for as long as equity markets have been measured, they have gone up more often than they go down. As noted recently in The Economist, 70% of U.S. stock markets are now owned by large institutions like Blackrock, Vanguard, Fidelity, pension funds and hedge funds. That percentage was just 35% in the 1980s. This means the self-described investment professionals are competing against each other more fiercely than ever before. 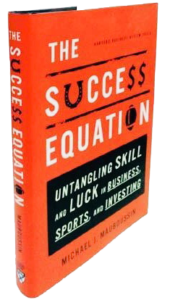 As Mauboussin intriguingly suggests, the more skill involved in a competition the bigger the impact of luck on the outcome. As a reality check, the following is from the prospectus of an initial stock offering (IPO) for a high-tech company that went public in March of 2017. Hyped by many, including the original investors then in a position to sell their much-appreciated shares, this quote sounds like a fair warning in my books, “We have incurred operating losses in the past, expect to incur operating losses in the future, and may never achieve or maintain profitability.” But if this is such a great investment, why would the private owners want to sell their stock in the company? If you had purchased shares at the IPO, you paid the original investors around $26 per share. Your investment is now worth about $13. So, as two of the biggest money-losing companies on the planet begin selling shares, no names but they provide ride-sharing services, best to avoid this ride. By being honest and observant about the outcomes of our investment strategies – repeatedly and over time – we can create mental models that help anticipate the unexpected (to minimize risk) while expanding opportunities (to maximize upside). You can easily improve your overall return just by minimizing costs like fees and commissions (nail the basics). You can stay calm and remain inactive during times of great stress (avoid unforced errors). You do not have to go head-to-head with the pros (no outsized wager on a hot stock tip). 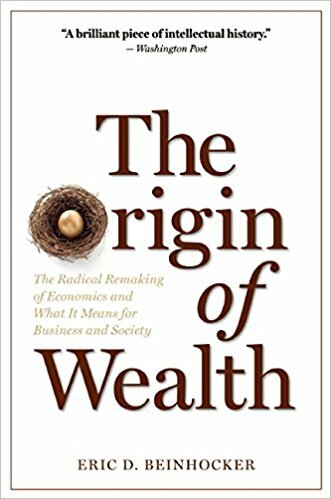 The pursuit of wealth (and then figuring out how to keep it when successful) has a long history. The wide-ranging insights below are offered without commentary. However, where additional context is available a good source has been recommended on the pundit or their life. I have read all of the books suggested. Netted $3,000,000 in the 1929 market crash. Let profits ride until price action dictates otherwise. 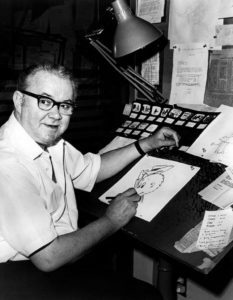 Cartoonist and creator of the comic strip, Pogo. 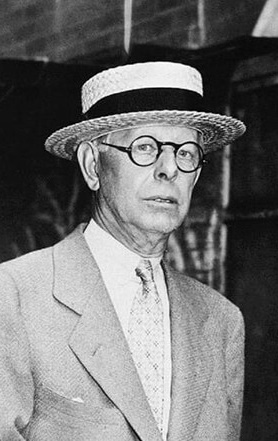 Considered one of the most successful hedge fund managers of all time. It is a fact that the U.S. now accounts for only 40% of the world’s stock market capitalization. Yet a look at international rankings of market capitalization by country tells a more nuanced story and confirms that the U.S. remains the best bet, by a long shot, for equity investing. However, Invest-Notes has from its earliest days been an enthusiast of international equities. As with most asset classes, international exposure is best pursued through exchange-traded funds, such as VEU (discussed below). And with the recent drawdown in prices around the world, international stocks might be an interesting place to invest some retirement account money at the first of the new year. After the U.S. the second spot of most valuable equity markets is held by Japan with 7.75%. Number three is China at 7.5% followed, surprisingly, by Hong Kong at 6.75%. Great Britain and France round out the top six with less than 5% each. More importantly, over the last ten years, the U.S. has gone from 34% to the current 39.81%. We are not losing ground to Asian or European nations, but instead growing at an impressive rate. Reports of our economic demise have been wholly mistaken. Japan, Great Britain, and France have all lost ground with the annual growth for China and Hong Kong at about 2% each. This bears taking a moment to think about. Hong Kong has a population of 7.5-million people in a land-locked area of 426 square miles; China has over a billion people occupying 3,700,000 square miles. Even New York City has more land and people than Hong Kong. Looking behind the headlines, major S&P 500 exchange traded funds (SPY, VOO, RSP) remain the smartest choice for most individual investors to keep most of their long-term savings and investments. Again, get past the hype, and even after the big drop over the last few weeks, the S&P is still flat for the year (though when I originally started work on this article a couple of weeks ago, the S&P was up 5% for 2018). By comparison, the exchange-traded fund used as a proxy for Chinese equities, ASHR, is down over 25% year to date. Over the last 5, 10 and 20-year periods the S&P 500 has delivered annual returns of over 10%. The often-repeated idea that the U.S. is somehow losing its status as the big dog in global finance is wrong. However, hubris is always a bad approach to investing strategies. Hubris is not an Option. 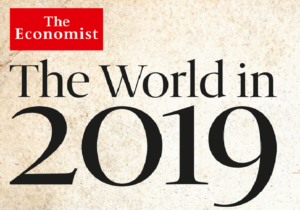 In their just-released The World in 2019, The Economist features three articles offering thoughts on how world markets might perform next year. On the one hand, there seems to be some level of confidence that the current bull market in America will see at least month 121, an anniversary of what would become the longest market expansion in U.S. history. On the other hand, these same pundits all suggest our next recession will likely begin before the end of 2019. But the most intriguing suggestion is to ask whether the gap between the U.S. and most other world markets begins to close because the U.S. economy weakens, or everyone else gets stronger or even just stabilizes. One prognosticator suggests that if the U.S. markets soften, the rest of the world will tumble in tandem. 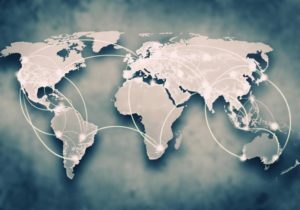 Perhaps though trade wars and U.S. federal reserve interest rate hikes could begin to bite domestically more than internationally. Reversion to the mean is not guaranteed, but it happens surprisingly often. So, why is investing in foreign equities a good idea right now? 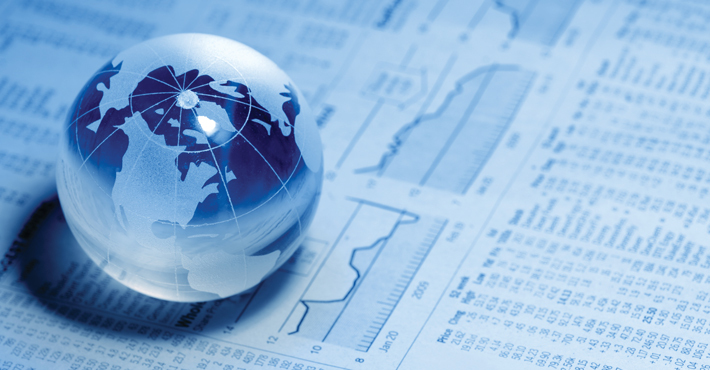 Because there have been and will continue to be times when in the on-going race for returns, international stocks can retake the lead position. My best bet is that most readers have not added any international exposure to retirement accounts in a long time. An exchange-traded fund like the Vanguard All-World Ex-US Index (VEU) make very good sense as a method of diversification. First, VEU currently offers a 3.1% dividend. Second, the expense ratio is 0.1% (that’s one-tenth of one percent). Finally, the U.S. still only has 40% of the equities markets, and there are some very fine companies worth holding in your IRAs and 401Ks. Stocks like Nestle, Novartis, Toyota, Royal Dutch Shell, and Samsung are solid investments – and better owned in a fund than individually. Don’t let hubris (only local matters) or fear (the world has gone crazy) keep you from considering participation, even in a small way, in the world economy. The investment books most likely to improve one’s abilities to invest successfully will not be the ones providing recommendations of what stocks to buy, and right now. Nor will a book simply offering models of fund-centric portfolios based on the age, temperament or any other attributes of their intended audience. Most valuable are books providing information to help guide intelligent decision-making. Though the classic works of Benjamin Graham and Philip Fisher are often recommended, their extreme technical orientation serves mostly to alienate less obsessive investors. Below are some suggestions for the less rabid, but no less enthusiastic investor looking to get smarter. 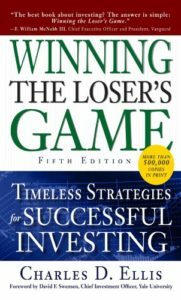 A great place to begin is Winning the Loser’s Game by Charles Ellis, originally published in 1985. It is far too easy to be blinded by success stories like those of Warren Buffett and Peter Lynch. The simple reality – clearly demonstrated by Ellis – is that few people (or mutual funds and their managers, or individual stocks) manage to consistently beat the market over time. His explanation of how people can appear to be great investors when in fact their success is due to statistical survivorship bias is eye-opening. Understanding the damage we inflict on ourselves through preventable mistakes, high-risk gambles and most significantly the fees we choose to pay as investors is vital if we want to be successful as investors. How could have taken over thirty years for this message to sink in? 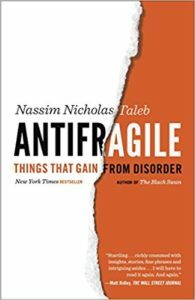 A personal favorite from 2012 and one, it should be noted that several Invest-Notes readers have been less impressed with, is Antifragile by Naseem Taleb. This investment book is a refinement of his first work, Fooled by Randomness, published about twenty-five years ago. Taleb goes way beyond the idea of a “Black Swan Event” (a term he coined, and title of his best selling book, though not a favorite of mine) and discusses not only how to avoid unexpected events, but how to benefit from them when, not if they happen. As Taleb cleverly explains: experts aren’t; things that can’t happen will; and like physical exercise, stress can be harnessed for self-improvement. Don’t let his arrogance distract you from the invaluable insights being offered. Taleb’s most recent book, Skin in the Game, published earlier this year is also terrific – but more valuable if read after Antifragile. 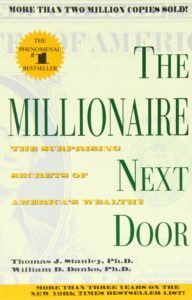 Another good primer is the original edition of The Millionaire Next Door published in 1996. That some of the book’s conclusions have been shown to be faulty does not take away from the value Millionaire can offer would-be Warren Buffett’s. Short of winning a lottery (and that includes the genetic lottery), fortunes are most likely to be built over time, through luck, hard work, and patience. 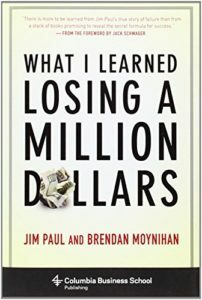 The many stories discussed in Millionaire provide practical examples of how to make the most of our current situation. This includes the single best thing anyone hoping to accumulate significant assets can do: Live beneath your means. It also helps explain why on lists of the wealthiest Americans over three-quarters are self-made, having created a fortune rather than inheriting one. Yes, you can be the millionaire next door, just not right away. While The Essays of Warren Buffett is on many lists (and is on my bookshelf), there is another text providing a more insightful overview of how great investors operate. This book from 2000 also demonstrates beyond any doubt that there is no one single path leading to success. 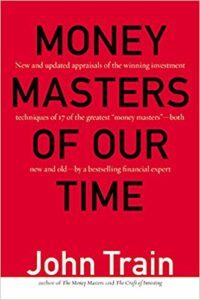 Money Masters of Our Time, by John Train, provides provocative insights into the thinking of seventeen of the most successful investors of the 20th century. It is here you will see that Buffett’s earliest successes came with risk most of us would never consider and that he has never repeated. Also worth noting is that several of these investors, among them some of the richest people on the planet, don’t use their wealth as anything but a scorecard. If there was ever proof demanded that having all the money doesn’t necessarily equate to happiness, this book is it. 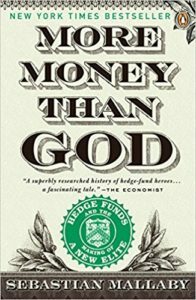 Finally, More Money Than God by Sebastian Mallaby can do more to explain hedge funds, what they do, and how they work than other investment books you can read. The U.S. financial system, and the Wall Street crowd, in particular, have never met a good idea that couldn’t be abused and corrupted. Read in tandem with Money Managers, the world of investing will look very different when you’re done. The origins of these curious investment vehicles (and the people who created them) are fascinating, with many of the concepts still applicable, even for the individual investors reading this note. What the heck is an investment plan? Open a brokerage account or interview a financial planner and you get handed a questionnaire intended to help determine what kind of investor you are – or will be, as a new client. But how do you answer a question like “Rate your tolerance for risk on a scale of 1-to-5?” A person willing to blow $1000 at the blackjack table while on a vacation in Las Vegas could be appalled at losing that same $1000 on a stock purchase. The glib advice – embarrassingly repeated here at Invest-Notes on occasion – that everyone should have “An Investment Plan” isn’t really much help. Creating an investment plan is not complicated, but it does involve some critical thinking. First, acknowledge we have no control whatsoever over the movement of investments like equities, real estate or gold. There is no way to know if a stock is going to go up, and if it does, how high it can go. On the other hand, how much money you are willing to lose is entirely up to you. In essence, your investment plan is simply a set of rules to ensure that you never lose more money than you can afford. As an investor, you can tell yourself that the stock you just bought is going to double in price, but that’s just a guess. Deciding that you are not going to lose more than, let’s just say 20%, while waiting to see if your guess is correct is the purpose of a plan. Conversely, suppose you are right and the stock does go up 100%. A decision made in advance to sell the stock anytime it drops more than 20% as the price goes up ensures you turn some of those paper profits into real ones. Prudent investors manage risk by making sure they never let emotions influence their decision making. Second, you have to decide who you are every single time you make a transaction involving invested capital. You will not always be the same person, and if you become someone new in the middle of an investment episode your odds of failure grow exponentially. Along with a decision on what you are willing to spend in pursuit of a gain, you need to consider who you are. 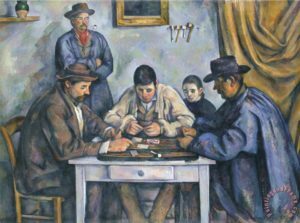 In the final analysis, it’s deciding in advance whether a piece of real estate, a stock, or a poker game (there are successful professionals in this field) is an investment, speculation or a gamble. Are you an Investor, a Speculator, or a Gambler? An investor expects a safe return of his invested capital after receiving dividends, interest payments or rent. A government bond held to maturity or the ownership of high quality commercial real estate are examples of investments. These usually require long investment horizons. A speculator expects to receive a gain on his invested capital through an increase in the value of the asset purchased. A return on an investment is only achieved when the asset is sold for a profit. This is not the same thing as making an investment and tends to be short-term. 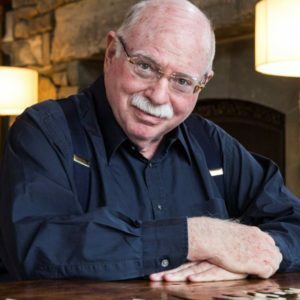 A gambler uses capital to express an opinion and/or as a form of entertainment to wager on activities with unknown outcomes or with results arrived at mostly by chance. Sports events, casinos and highly speculative equities allow for effortless all-or-nothing bets. It can work like this; there was a lot to like about that hot, new company, and as a speculator you took a meaningful position, buying a slug of stock that pays no dividend. For reasons you couldn’t have known the stock price drops, let’s just say 20%, but you decide to hang in there and keep your position. It takes another hit to the share price and you are now down 40%. So, you decide to hold on until you at least get back to even, and now you are a gambler. But you tell your friends that you are, in fact, an investor with plans to hold the stock for the long-term, but without any dividends or any reasonable expectation for a safe return of your initial investment. At the same time, you’ve convinced yourself that you can’t sell now because you’ve lost too much money. It can be a long, painful ride to the bottom. 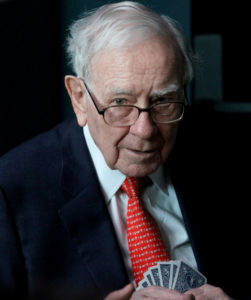 It’s okay to be an investor, a speculator and a gambler at the same time. It is not acceptable to be all three on the same trade. And when market conditions influence your identity in the middle of a trade, you are letting human nature get the better of you. 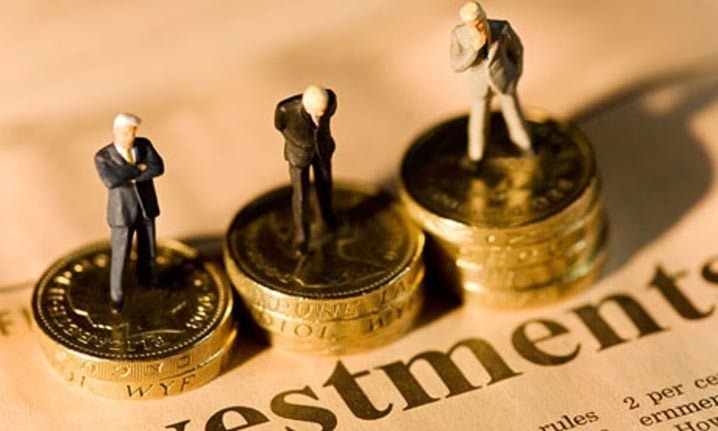 An Investment Plan is intended to take the emotion out of investing, while at the same time assigning each financial transaction to an appropriate goal. A discount broker has the account I use to gamble – currently, it holds stock in a Canadian mining company looking for gold on Japanese islands. There is nothing even remotely comparable in our retirement accounts which are mostly filled with indexed exchange traded funds and bonds. In our savings account, there is just cash, and always will be, so a trade doesn’t have to be forced to solve unexpected financial problems. My plan is to invest carefully for the long-haul, speculate on an occasional high-risk high-return activity and always have a safety net. Your investment plan is simply a list of your current assets, each with a “Sell Now!” price (hopefully as a standing stop/loss order), what purpose it serves (long-term or short?) and a reminder about who you were when you made the investment or gamble. Invest-Notes continues to forcefully urge that individual investors anchor their investment and retirement portfolios around exchange-traded funds (ETFs). Specifically, indexed funds of the S&P 500 and international blue-chip stocks. Around this central component, it might make sense to add specialty funds, like those comprised of medical companies (for growth) or utilities (for yield). For the truly adventurous, and being mindful of the risks involved, having a handful of individual stocks can also make sense. Individual stocks of major companies will find that on September 30, 2018, the description of what business they are in will change. This is not as odd as it might sound. Netflix started as a business to rent DVDs by mail. Disney made cartoons. AT&T was the phone company. Today Netflix has something like 125 million subscribers to a streaming video service that not only offers the same movies they used to rent but creates more custom content than the three TV networks combined. Disney now owns theme parks and ESPN. AT&T just bought Time Warner, go figure. As businesses evolve, so should the way in which we invest in them. During the formative years of Invest-Notes, there was often discussion of specific trades. After the market mayhem of 2008-2009, not so much so. The shift in focus went from what to trade, to how to trade. This idea of talking about ways to make smart investments by thinking about our behavior will continue, but right now we’re going back to being very prescriptive about a specific investment idea. There is about to be a brand-new industry sector that will be composed of big companies coming from other sector funds. This matters, because the Big Daddies of indices, S&P Dow Jones and MSCI, use the GICS stock classifications to determine things like whether Home Depot should be identified as a Consumer Staple, or a Consumer Discretionary stock. In their turn, the Big Daddies of exchange-traded funds, like State Street and Vanguard, use these sector definitions of the S&P 500 and MSCI to decide what stocks will be included in the ETFs that individual investors are buying in ever-increasing amounts. As a quick reminder, the Global Industry Classification Standard (GICS), is a worldwide standard for stock classification. Established in 1999 with ten sectors, the GICS started with: Consumer Discretionary; Consumer Staples; Energy; Financials; Health Care; Industrials; Technology; Materials; Telecom; and, Utilities. The only change to this line-up occurred in August of 2016 when the Financial sector was bifurcated to create a Real Estate sector. Discussed here at that time in our article, “The Difference Between Banks and Buildings“, it should be noted that while Invest-Notes correctly identified the pros and cons of the change, we totally whiffed on guessing the subsequent performance of the two sector funds. The transition taking place on September 30, 2018, is more impactful since it will see three sectors facing major changes to their composition. First, Telecom Services will be renamed Communications Services. Currently, the smallest of the eleven GICS sectors composed of only the stocks in the S&P 500, when Telecom becomes Communications it will grow from 2% of the index to around 10%. The challenge for investors is determining what to do with current sector holdings when some of the biggest stocks in the S&P get shuffled around. Google, Verizon, and Disney are not niche investments. In point of fact, the top holdings in the soon to be Communications Services sector comprise about 10% of the S&P 500. Now, what happens to the Information Technology Sector when Google, Facebook, and other heavy hitters are no longer part of Technology ETFs and become components in the new Communication Services Sector? Or the Consumer Discretionary Sector (a sizable ETF holding in my personal accounts), where Netflix, Disney, and other big companies will be moving out. And is it a good bet to add one of the big Telecom ETFs – IYZ or VOX – in advance of the reshuffle? Disney and Netflix are currently the fourth and fifth largest holding in the Vanguard Consumer Discretionary ETF (VCR) and account for 9% of the total holdings. In the Information Technology ETF (VGT) Facebook and Google make up 15% of the fund, holding the third, fourth and fifth positions (Google, now known as Alphabet, has two classes of stock, each traded independently). As for Telecoms (VOX), 50% of the total value are the top two stocks, Verizon and AT&T, with the ETF offering a yield just north of 4%. One incorrect assumption when banks and real estate divorced was the big dividend being paid by the real estate stocks would make it a more attractive offering. Yet the high yield was not able to offset a drop in the value of the underlying real estate related equities. Similarly, Facebook, Netflix, and Google don’t pay a dividend which suggests that the new Communications sector, formerly Telecom and known for its generous payout, won’t anymore. So, what to do? The following is not a recommendation. It is simply a description of the actions I am personally taking in advance of the sector changes. Please note, these changes are being made in retirement accounts where there will be no tax implications. The Technology sector has had an amazing run this year and I’m happy to take my chips off the table here – holdings in VGT have been liquidated. Never did own any Telecom ETFs, and don’t plan on gambling that the pending change will create any short-term opportunity around the cost for fund managers who will be required to add holdings to new or existing funds. Finally, I am going to bet that the Discretionary ETFs, which have also had a really good run in 2018, will take a hit around the rebalance. I am not going to reduce my current allocation (4.5% of the total portfolio), but plan on adding more if my guess on a price drop takes place. In large measure, the bet is that yield will increase as consumer spending continues to improve. And I am adding some funds to VOO, the cap-weighted S&P fund in my portfolios (I also have RSP, an equal-weighted S&P index fund) assuming the sector shuffle will help drive the prices of the equities being moved around higher, as we move into what has traditionally been a great time – the 4th quarter – to be invested in the stock market. 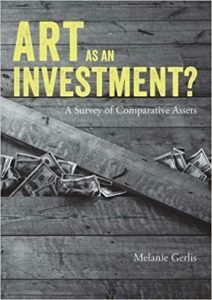 The last line in a thoughtful book by Melanie Gerlis, Art as an Investment?, does not do her work justice, “Those looking at art purely as an investment might first consider looking elsewhere.” In fact, she makes a cautious case for those interested in fine art who also have an interest in investing. But first, full disclosure since I am biased. Both fine art and antiquities constitute a meaningful portion of my investment portfolio. As I write this note, works by Max Beckmann, Chuck Close and Sol Lewitt surround me. A visit to the San Antonio Museum of Art will find a dozen Egyptian antiquities from our collection on display. Another quote to provide some context for the following conversation comes from another great read, The Value of Art by Michael Findlay, “A collector has one of three motives for collecting; a genuine love of art, the investment possibilities, or its social promise” (quote by Emily Hall Tremaine). Anyone not meeting all three criteria is unlikely to enjoy the rest of this note. Gerlis undertakes a laudable enterprise by comparing artwork acquired for investment purposes with other asset classes. An editor for The Art Newspaper, she is a knowledgeable commentator on the business of art. Her book makes one-on-one comparisons of fine art to; equity markets, gold, wine, real estate, hedge funds and, intriguingly, luxury goods such as jewelry and watches. By defining each investment’s attributes – such as market transparency, liquidity, market makers, and valuation metrics – she creates a context useful in determining the differences between these investment options. The quick and the dead in art. Following Gerlis, it seems appropriate to use metaphors taken from the world of investing herein. Conceptually there are two distinct markets with an important overlap. On the one hand are dead artists, the majority of which have some standing in the cannons of art history and criticism. Then there are the living artists whose reputations will evolve for better and worse, as should their artistic output, over a lifetime. In between are the few long-living artists who have achieved accolades likely ensuring their place in history. This can be viewed similarly to that of value and momentum stocks, assuming a gray zone here as well. Value artists would include names like Cezanne, Pollock, Warhol and, of course, Picasso. Like a big established multinational corporation, the price of the art will fluctuate over time, but there is an expectation of enduring intrinsic value. Both the equity and art markets experience good and bad times, but the trend over long periods is upwards. Categories having demonstrated value over time include Old Master and Impressionist works. The place of post-WW II abstract expressionists also appears to have been firmly established, with Pop Art probably not too far behind. However, much like gold, art tends to maintain value over time, also contributing to the value in art. Paintings, in particular, have a curious tangential value as insurance. During times of crisis, paintings can be quietly transported across borders, their value not being linked to any particular currency, unlike real estate or some equities. Momentum artists, on the other hand, remain an unknown entity as far as their long-term valuations are concerned. A look at the dot-com stock era is a good context for thinking about contemporary art – where hopes and dreams intersect with savvy marketing to create the “next big thing.” Or not. As one professional dealer put it, the worry is whether a work of art is even worth displaying five years from now. With the rise of mega-dealers like Gagosian and Zwirner, who make a lot more money than many of the artists they represent, the hype is an ever-present danger. We hear about the unknown artist who finds their work suddenly fetching high prices at auction, but not their peers watching prices drop in the same market space. The books listed at the end of this essay give many examples of just how far a new superstar can fall. And how fast. There is a difference between a fad and a trend. Fads come and go, often with little in the way of residue. Trends are indicative of long-term shifts in taste or behavior. People generally tend to “get” Impressionist paintings. Not so much with “video art.” With contemporary art, the winner can more often be the dealers rather than the artists. Currently, there is much conversation – and sales activity – being defined by issues unrelated to the value in art. Contemporary art originating in the Middle East and Latin America are hot art commodities right now even if their shelf life is unclear. A decade ago contemporary Chinese art was a market darling, just as the Aboriginal art of Australia had been twenty years before that. On the cutting edge in trendy art markets like New York is work by the alternative lifestyle crowd who now enjoy accolades instead of opprobrium for being LGBTQ. There is also a geographic risk when discussing a “local” artist as these tend to more often be about the person instead of their art. So, what is the value in art? I’ll suggest that what makes great art is an ability to engage people over time and space, by embracing our shared humanity. This leaves doubt as to the long-term viability of art focused on a place or personality. 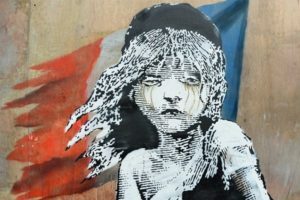 Art tied to political protest (think of the French Revolution as well as Kent State) have not tended to endure. Like comedy, art linked to a specific context, ages quickly. The humor of the Marx Brothers and Lenny Bruce can be mostly lost on Millennials. Yet the works of Chaucer and Shakespeare are routinely remade for contemporary consumption because the underlying humor is based on human foibles that don’t change much over time. A friend once proudly pointed out that he had paid over $17,000 for a painting bought from a local art gallery dealing in local artists. Setting aside the temptation to judge the work on artistic merit, it is noteworthy that considerations regarding the placement of the painting (colors and textures already in the room) played a prominent role in its selection. The likelihood of reselling the painting at any time in the future for even a few hundred dollars is non-existent. The best that can be hoped for is to pass along an item of sentimental value to the kids. The case can easily be made that the same dollar amount spent on a respected, post-war artist could have found a work fully meeting the decorative criteria. With a little care in selecting art from an important period of an artist’s oeuvre (granted, most likely to be a drawing or print instead of a painting), the likelihood of selling the work near the price paid improves dramatically. And from personal experience, I can say that as our tastes evolve, being able to sell one work to purchase another is an additional benefit of being mindful when thinking about what’s hanging on your walls. As with any endeavor, there is a lot of work to be done in negotiating the vagaries of the fine art market. Frankly, most people would likely be as happy with handsomely framed museum posters of their favorite paintings. One final consideration is that important works of art, properly prepared for display and cared for, endure across time. As a kid, I was hypnotized by a book with the complete engravings of German artist Albrecht Dürer. One in particular, “Pilate Washing His Hands” from 1512 informed many of my early drawings. Today an original of that engraving, likely printed around 1514, enjoys a place of prominence in my office. Even after looking at that image for fifty-years it still fills me with endless delight. 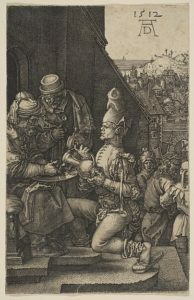 At some point, the Dürer engraving will find new owners who also appreciate the master’s skill. 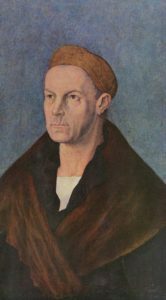 Not only will I have been lucky enough to enjoy Dürer’s art up close and personal, I will be part of a group of collectors stretching across 500-years intent on ensuring others also get a chance to see the real thing instead of as a page in a book. Monetary value is not solely what defines the value in art. Yes, that Steve Martin, who beyond being funny is a serious art collector. This work of fiction about a young art dealer includes mention of real people and rings eerily true. Likely a book that provided some inspiration for Martin’s fiction. A snapshot of the contemporary art world in the days leading up to the economic crisis in the U.S.
What is the definition of wealth? 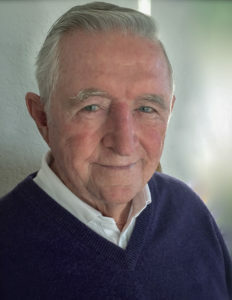 The idea that being a part-time investor is going to bring you wealth and make you rich enough anytime soon to retire and enjoy the life of as a country squire, tending grapes at your chateau in France is delusional. Better to assume that your efforts as an individual investor will leave you in a position “down the road of life” to enjoy long stretches of time doing things you enjoy. Maybe even months or years pursuing interests for their own sake, regardless of whether you get paid or not. I’m a big fan of the notion we should be able to take time to pursue activities simply because we want to – without worrying about any financial ramifications. That’s the point of this blog, to help ensure you have the means to create and enjoy a full life. 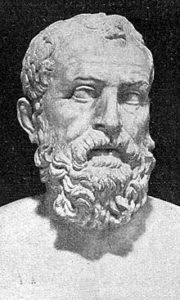 The wealth of Croesus isn’t waiting for anyone diddling in the markets, or looking to make a fast buck off of gold or real estate. If you want to make the Big Money, then you had better be prepared to put the fun stuff on hold and get busy doing Big Work. Do you really believe that you can play competitively on the same court as any of the 491 players currently in the NBA? What this meant for an individual investor really hit home for me many years ago, after reading John Train’s book Money Masters of Our Times. 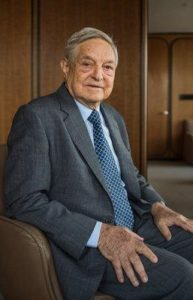 A collection of interviews with 17 of the best investors alive, including the usual suspects like Buffett and Soros, the relentless drive, and focus of these individuals is breathtaking. And their idea of fun is to be relentlessly driven to focus on wealth accumulation. When one of the billionaires Train interviewed is asked about his very pedestrian lifestyle he replied that money was the scorecard. If he actually spent money, his score would go down. Ask yourself the tough question; is it the money, or what you can do with the money, that interests you? Circumstances beyond our control (often called “luck”) will likely be a major factor in our personal pursuit of wealth. Eric Beinhocker, in The Origin of Wealth, satisfyingly demonstrates that wealth tends to clump even without external influences. The winners in the contest for asset accumulation are more likely to be people in the right place at the right time, rather than master rainmakers. 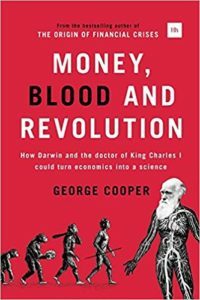 Money, Blood and Revolution by George Cooper, further suggests that democracy is a key driver of economic growth for most people lucky enough to be living in one, but also a guarantee that income disparity will inevitably persist. Which in turn suggests inequality is not a problem to solve, but a fact to be lived with (personally, I’d suggest the issue is primarily defined by education, but let’s save that conversation for another time). Yet another point Cooper drives home in his book is the importance of dealing with the world as it actually is, not as we wish it to be. In the final analysis, one of the biggest influencers of creating wealth is luck. So, when luck arrives, avoid assuming you had anything to do with your success and proceed to save and invest humbly. Also, be mindful of the distinction between the need for creating wealth, and the need to keep what you have. Worse than never having the chance to achieve a meaningful level of net worth is arriving at success but then letting ego and hubris make it all disappear. At some point, preservation becomes more important than getting more. I’ve always understood that money simply represents the potential of what can be achieved by spending it. Further, most of us are trading the (very limited) time we have on this mortal coil to acquire that money. 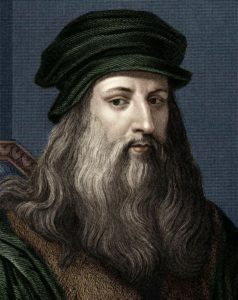 I’ll suggest the accumulation of things (the biggest house, the fanciest car, the most expensive watch) is far less valuable than a trip to Egypt with your kids or knowing you can leave a job no longer offering the satisfaction of doing meaningful work without putting your financial well-being, and that of your family, at risk. Now ask yourself again, “is it the money, or what you can do with money, that matters?” With all the talk here at Invest-notes about “having a plan” for investing, please don’t lose sight of having a purpose for what the successful implementation of that plan really means. When the time comes and you cash out the winnings from your investments, what will you do with the proceeds? And finally, remember that your investment portfolio should include not-for-profit and charitable service organizations. Both our time and money need to be directed toward helping rectify the inequality in our own communities. The day we forget what an outsized impact luck has had on our lives is the day we begin to lose our humanity. If we can be smart enough, and lucky enough, to put ourselves on the winning side of creating wealth, then we have both the privilege and obligation to earn the dividends of helping those less fortunate than we are. This will be the last Invest-Notes in its current iteration. Actually, there’s only been one version of the Invest-Notes blog since my friend Rob set it up as a birthday gift in 2011. Your next visit will still find thoughts on investing and economics – including the full archive – but will be easier to navigate and better share the spotlight with music and art. Hoping you will enjoy the changes. There’s another, bigger change coming soon, and this one will affect the equity indexes, and thus the benchmarks for a lot exchange-traded funds. Individual stocks of major companies will find that the description of what business they are in will change. This matters because the Big Daddies of indices, S&P Dow Jones and MSCI, use the GICS stock classifications to determine things like whether Home Depot should be identified as a Consumer Staple, or a Consumer Discretionary stock. In their turn, the Big Daddies of funds, Blackrock and Vanguard, use the stocks in the S&P 500 and MSCI to decide what stocks will be included in the ETFs that individual investors are buying in ever increasing amounts. First a quick review of the Global Industry Classification Standard (GICS), a worldwide standard for stock classification. Established in 1999 with ten sectors, the GICS consisted of: Consumer Discretionary; Consumer Staples; Energy; Financials; Health Care; Industrials; Technology; Materials; Telecom; and, Utilities. With the equity holdings of hundreds of ETFs and mutual funds based on the composition of these sectors, definitions are important. So, Phillip Morris (PM), a maker of tobacco products is a Staple and Home Depot (HD) is a Discretionary. Clear as mud, right? Cigarettes are something everyone needs, but the ability to affect repairs to your home or apartment isn’t so necessary? But I digress. On August 31, 2016, the first ever change to the original Big Ten took place when the Financial Services Sector became bifurcated, creating a new sector, the Real Estate Sector. At the time of the split, real estate companies made up around 20% of the Financial Services Sector. REITs are a major component, with those and other entities involved with real estate related investments often paying sizeable dividends. 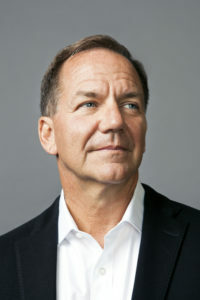 These include shopping malls and strip centers, home builders, office buildings, holders of actual mortgages, industrial warehouses, apartment complexes, long-term care facilities, property management firms, timberland and now buildings occupied by computers that make-up “The Cloud.” Real estate stocks, particularly real estate investment trusts (REIT), have typically been considered niche investments. Since the time of that first change to the GICS, banks have done well, REITs not so much so. In retrospect (also known as Monday Morning Quarterbacking) the headwinds were building for the real estate sector at the same time banks were beginning a genuine recovery from the financial mayhem of 2009. The upcoming change to the Telecom Services Sector will likely be more seismic since there will be three sectors involved and much larger ones at that. If you own any sector funds, now is a good time start thinking about what these changes might mean for your portfolio. The transition taking place on September 30, 2018 will see three sectors face major changes in their composition. Telecom Services will be renamed as Communications Services. 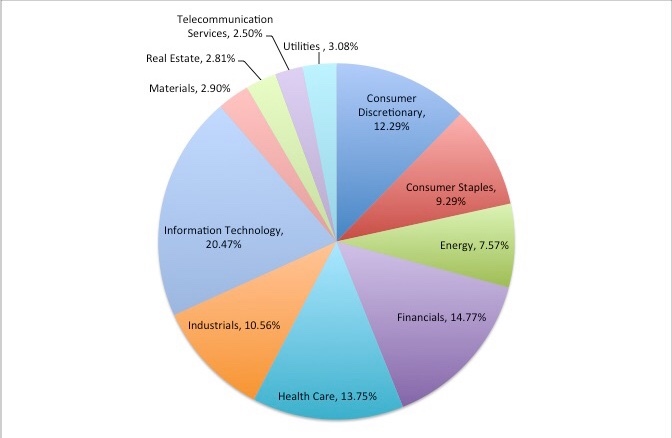 The smallest of the eleven sectors composed of the stocks in the S&P 500, when Telecom becomes Communications it will grow from 2% of the index to 10%. More challenging for investors is determining what to do with current sector holdings when the biggest stocks in the S&P get shuffled around. Google, Verizon and Disney are not niche investments. Now, what happens to the Information Technology Sector when Google, Facebook and other heavy hitters are no longer part of Technology ETFs and become components in the new Communication Services Sector? Or the Consumer Discretionary Sector (a sizable ETF holding in my personal account), Netflix, Disney and other big companies will be moving out. And is it time to go ahead and add one of the big Telecom ETFs – IYZ or VOX – in advance of the reshuffle? A tough call to make since the logic underpinning the changes is hard to understand. Disney and Netflix are currently the fourth and fifth largest holding in the Vanguard Consumer Discretionary ETF (VCR) and account for 9% of the total holdings. In the Information Technology ETF (VGT) Facebook and Google make up 15% of the fund, holding the third, fourth and fifth positions (Google, now known as Alphabet, has two classes of stock, each traded independently). As for Telecoms (VOX), 50% of the total holdings are the top two stocks, Verizon and AT&T, with the ETF offering a yield just north of 4%. One incorrect assumption when banks and real estate divorced was the big dividend being paid by the real estate stocks would make it a more attractive offering. Yet the high yield was not able to offset a drop in the value of the underlying equities. Facebook, Netflix and Google don’t pay a dividend which would suggest that a sector known for its generous payout won’t be anymore. Frankly, it is not clear to me what connects these businesses. Netflix and Verizon? Disney and Facebook? Google and AT&T? Finally, for those of us invested in S&P 500 cap weighted index funds – SPY or VOO – it turns out that Facebook, Google, AT&T and Verizon are also top holding. Due to the size of the largest holdings, it is possible that the new Communications Services funds really won’t offer anything other than a focused version of the biggest stocks in the S&P 500 ETFs. Maybe, it’s time to pull back a bit from diversification through sector funds since that seems to be the last thing being achieved by grouping really big companies in ever smaller index sectors. After an explosive move up in January, we were subsequently reminded that stocks (and indexes) can still go down. This is a time when it is especially important to avoid emotional reactions and focus on intelligent decision-making. Here are a few investment thoughts, offered up once before, that might be worth considering. 2. Near-term forecasts are more certain than 10-year projections. Remember all of the investment analysts who were predicting a big drop in February with an immediate rebound? Me neither. The future has always been hard to predict and this fact is unlikely to change just because investors wish it would. Always be suspicious of undue emphasis on the long-term, especially when the short-term isn’t looking so good. 3. Be aware of the weakest links in your argument. Without doing this, it is pretty much impossible to know when it is time to exit an investment position. When a key assumption changes, or more likely proves incorrect, it may be best to exit the investment and move on to the next good idea. Put another way, keep a lookout for what you didn’t think about when entering an investment. 4. It is better to be vaguely right than precisely wrong. Too much detail gives a false sense of security. This explains why successful panhandlers always ask for an exact handout, like sixty-three cents. It’s just human nature to think someone predicting that earnings for the S&P in 2012 will be $107.63 must know more than someone who simply suggests that earnings will be less than $100. Yet a prediction of a range – less than $100 – can prove more helpful in understanding the underlying assumptions, such that the S&P will struggle to achieve growing earnings. 5. By definition, our memories are terribly biased. During my 13-month experiment as a day trader (using a Scottrade account specifically for this purpose), I kept a spreadsheet documenting every trade, the cost to trade and the profit or loss on every position. While I ended up with about an 8% return (this was way back in 2007, when it was pretty hard to lose money in the markets), the amount of work involved as well as some of the risks assumed, made it obvious that market timing isn’t a good strategy. Being able to revisit the actual data has been a valuable reminder for staying focused on what works for me. I keep remembering how wildly successful I was, a notion difficult to reconcile with the actual data. Investor Personalities | Investor, Speculator, Gambler | Invest-Notes.com on Who Are You?